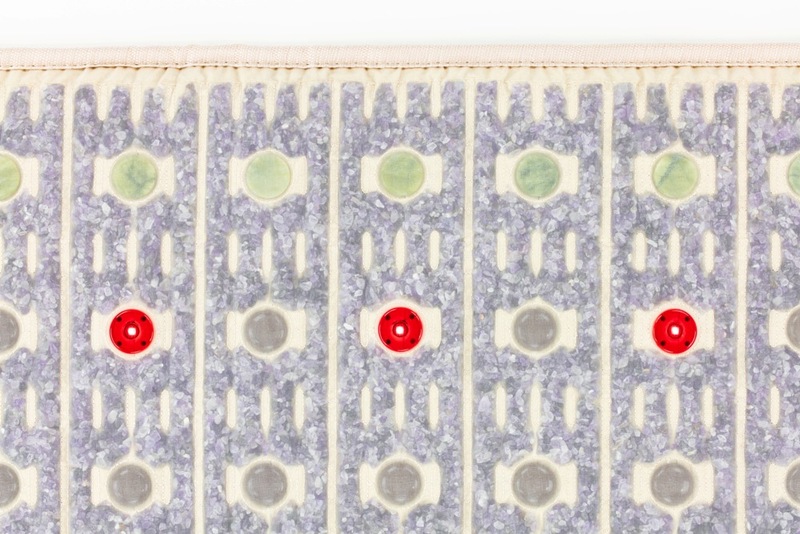 The Rockefeller of Gemstone Therapy Mats. Experience the Fully Loaded Model that Provides the Ultimate Wellness-Enhancing Experience. The TAJ Mat Full is the best of the best. 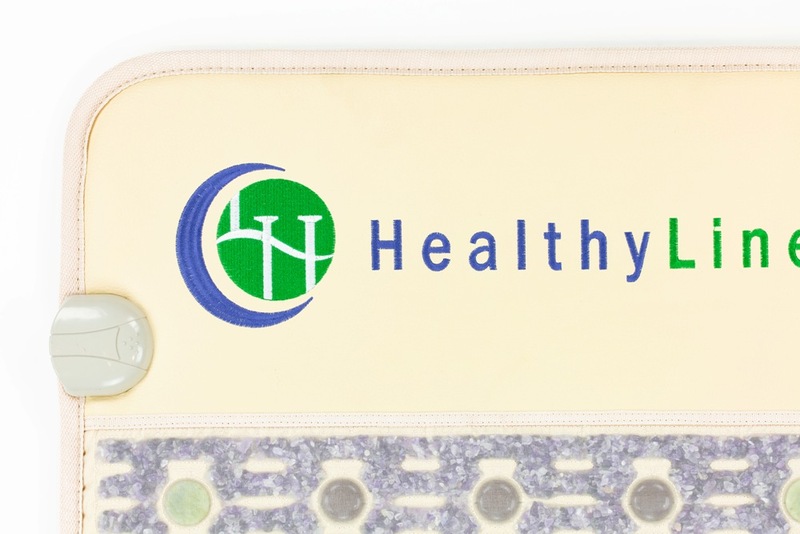 It provides a luxury heating experience coveted by customers and medical professionals alike. 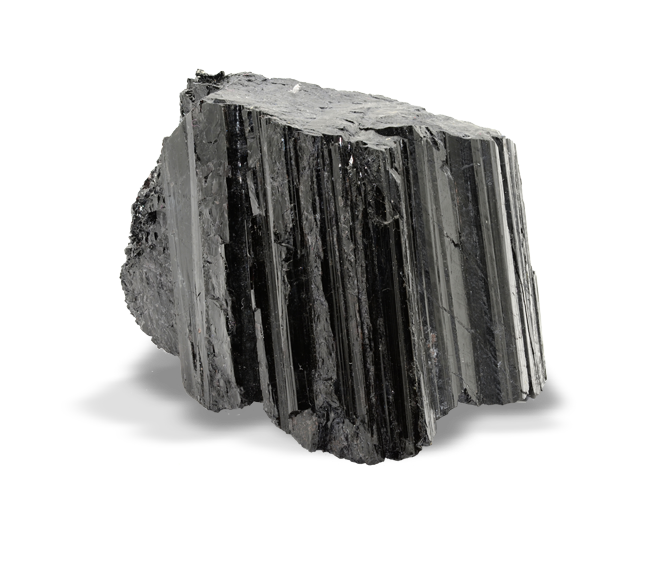 The inclusion of 5 natural therapies paired with 3 well-established gemstones makes it the mat everyone dreams of using. Turn the TAJ Mat Full into your reality, and experience all the wellness benefits that come with it. Temporarily enhance your local circulation, relax your muscles and joints, and so much more. The full-size of this mat allows for easy application to your entire body. It is ideally used on the floor or on a table. You can also increase the comfort and quality of your rest by sleeping on it overnight. Give your wellness the attention and care it deserves; elevate your lifestyle with a TAJ Mat Full today. 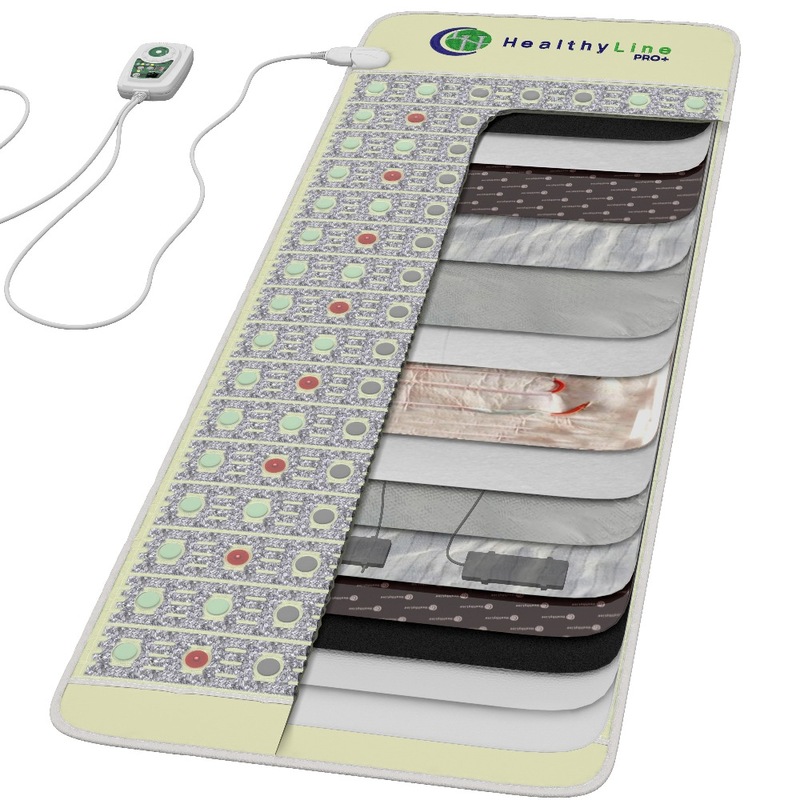 Each HealthyLine mat contains up to 21 layers that regulate the complex wellness-enhancing experience. These layers do things such as generate penetrating heat, regulate temperatures, provide PEMF, and make your mat more durable. 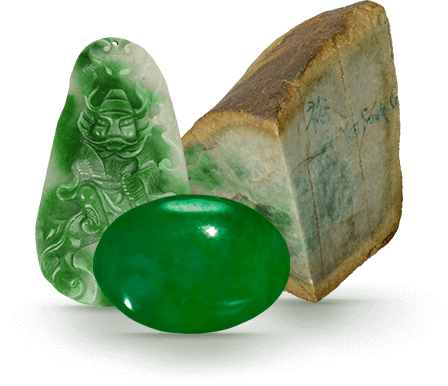 The next step in the process is embedding the mats with pounds of pure natural gemstones. 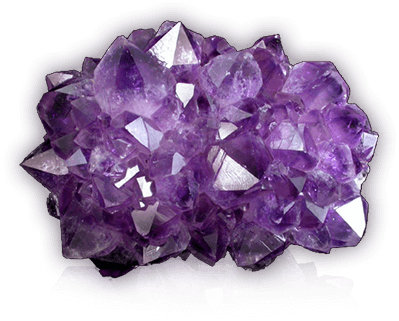 When heated, these gemstones release far infrared rays and negative ions that penetrate deep into your body’s core. These processes assist in normalizing your body’s functionality. This also guides your body into a state that is more receptive to other forms of therapy. This is where the inclusion of PEMF and photon lights becomes beneficial. When all these therapies work together, they continuously help maintain improved levels of wellness. You are an investment that requires nothing short of the best, and that is what you get with the TAJ-PP Inframat Pro: the most benefits and the best value. Looking to buy a mat? Want to know more? Having issues with your mat? I thought the mat wouldn’t be so comfortable ’cause of the stones but it is really comfortable and nice to lie on. The mat provides me with fantastic sleep all night long, it’s very cozy to fall asleep on it. Also, it helps me to restore sore muscles and heals minor injuries I inevitably get due to my sports routine. I can’t say I bought this mat to solve some concrete health issues, just wanted something to bring relaxation and warmth. The more I’m amazed by the results! My sleep has improved hugely, I feel so much better in the mornings, it seems like I’m charging myself when I’m using this mat. I’m more than happy I bought it! I use this mat to sleep on every night. I can confidently say that it gives me the best sleep and relaxation in my life, I can’t remember when I slept like this before. The health benefits of the device are very good too. I didn’t have any specific complaints but I do feel better after every night spent on the mat. 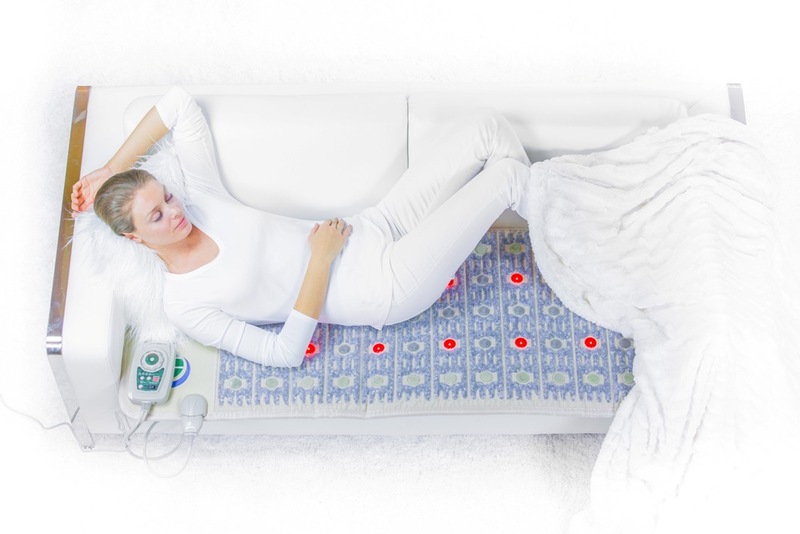 I used to have severe abdominal pains and this mat helped me with them greatly. I would like to underline that I noticed relief after first several sessions, now it’s my remedy for all health issues and the pain I experience. I purchased this mat primarily for our poodle who has Intervertebral Disk Disease and was having a second surgery in December 2017. He was undergoing pain management treatment and far infrared heat with PEMF was recommended. He still loves to lay on it! 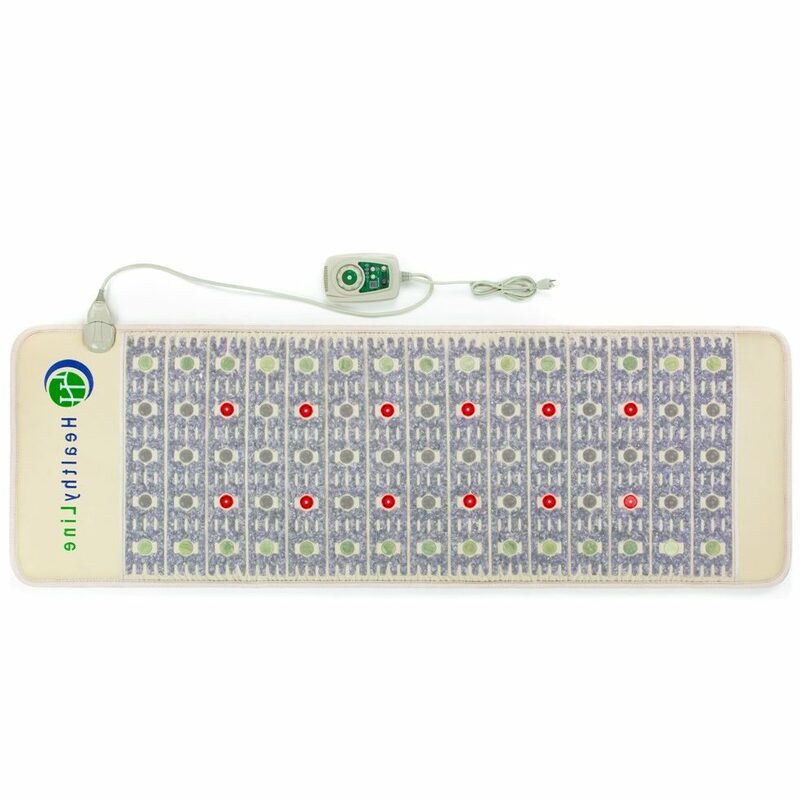 I started using it as well and I have to say that this will give you the most relaxing sleep ever and when you get off of the mat your body will feel so good! It helps to decrease my joint pain. I love this mat and am extremely happy with it. The company and customer service is excellent!